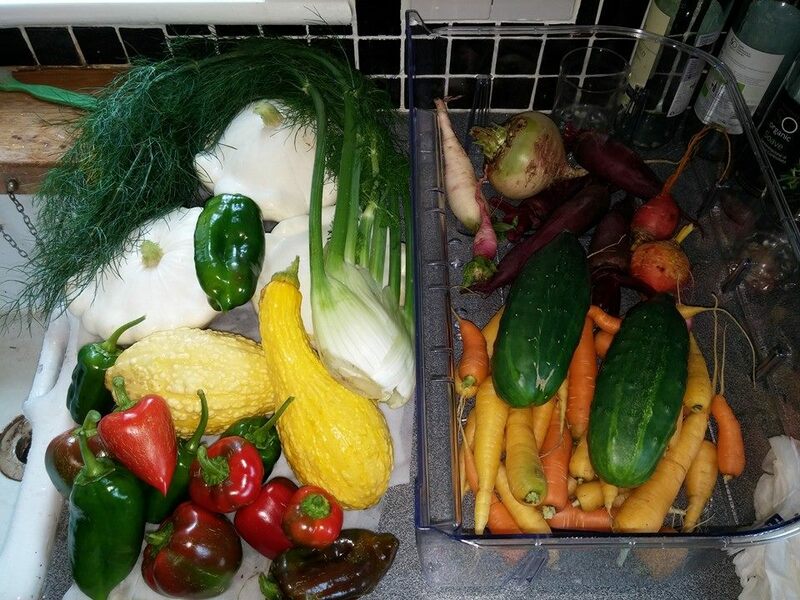 So today we picked a really nice selection of veggies from our allotment, it’s really great to be able to eat all this freshly picked food and it always tastes fantastic in comparison to the stuff you get in the shops. Today we’ve got various types of peppers, fennel, flat custard squash, crookneck squash, cucumbers, carrots, beetroot and radishes. Next PostPolytunnel Stage 1 Complete!